As if it’s not hot enough outside, here’s one on heated bird baths. 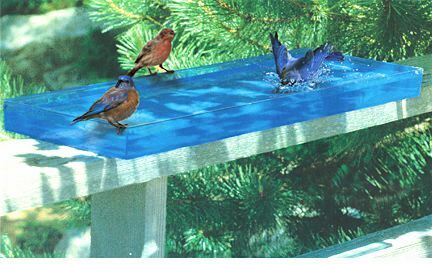 Most of the newer materials used today for bird baths will accommodate heaters, converting them to heated bird baths. True, that in the dead of summer, nobody is really thinking about wild birds in winter, but this precious resource is sometimes scarce for our feathered friends. A fresh water source is a necessity for birds year-round, and Mother Nature can be just as brutal in winter as she is in sweltering summer months. 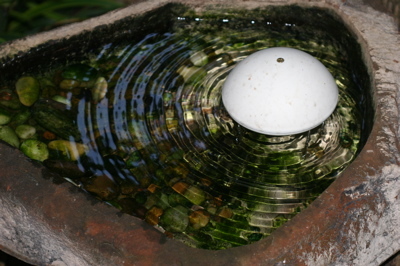 Accessories like bird bath drippers and water wigglers keep bath water from becoming stagna nt. They actually help keep water fresher by constant movement. This movement is also a visual magnet for birds! Take one cool bird bath, like this deck-mount mode above, and change accessories with seasons for maximum wild bird attraction! 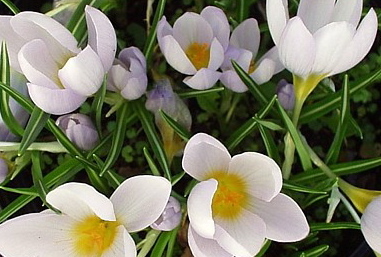 Crocus… the first sign that spring is just around the corner (here in the south anyway) have been popping up along with jonquils. Bluebirds are starting to scout nest boxes in hopes of attracting a mate. Yes, spring is almost here! With this exciting birding season come the chores of a responsible backyard birder. Now is the time to check birdhouses for old nests, discard them and clean out the house for new visitors. 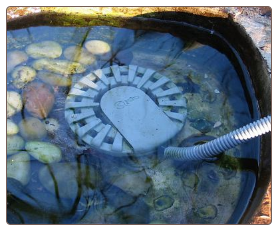 Remove heated bird baths, or unplug and store the cord for the season. 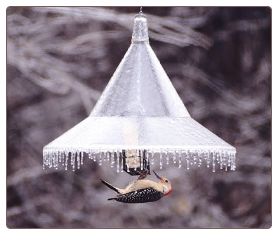 Cleaning bird feeders is a good idea as well, it helps keep local bird populations healthy. This includes cleaning up fallen seed and ground waste. A simple solution of bleach and water (1:10 ratio) will do the trick nicely. A good scrub for both houses and feeders, rinsed thoroughly and set out to dry is a pretty standard seasonal cleaning. Two of our baths have heaters for winter (the third one is built in). Heaters should be cleaned as well, removing lime and slime build-up before storing. 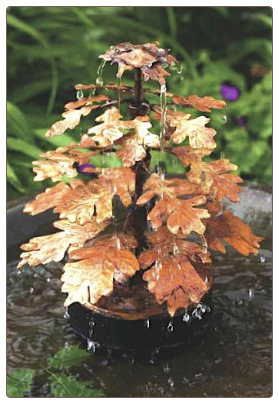 Our heated bird baths will soon be extremely popular as they will offer moving water. 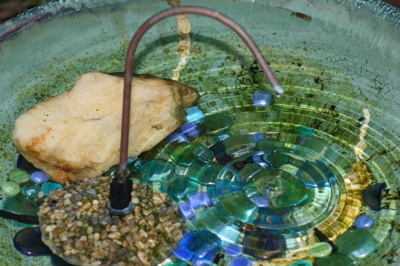 Water wigglers and birdbath drippers will take the place of heaters for the next six or seven months. These are wildly popular with resident as well as migratory birds. Bath water stays fresher longer, and with moving water mosquitoes can not lay eggs. Easily transform heated bird baths for the spring and summer seasons ahead.. your birds are ready for it! 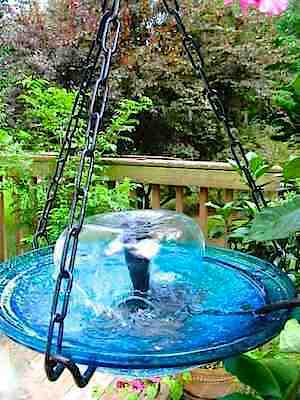 Why Add Moving Water to Your Birdbath? A sure way to attract birds is with water, and an even better way is with moving water! The sound of a “drip-drip” or the sight of ripples across a birdbath is an absolute visual magnet to many species of songbirds. 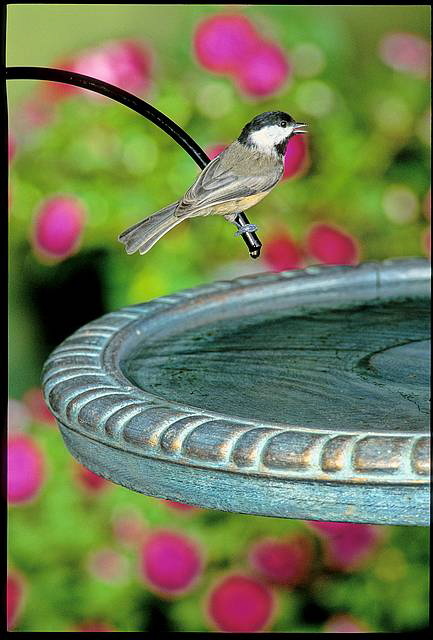 Even those who may not frequent your feeders, or use birdhouses, will visit a birdbath that offers fresh water. 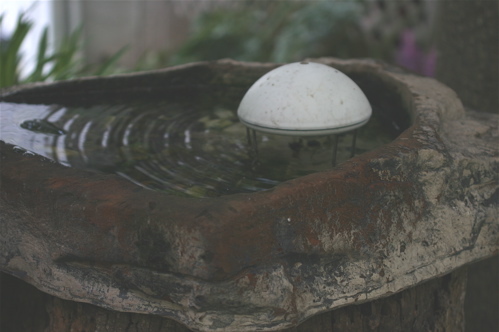 Birdbath accessories like water wigglers and drippers are a great way to create moving water in your existing birdbath. The birds love them! Another great benefit is that mosquitoes can not lay eggs in moving water, so there’s no worry of them breeding or eggs in stagnant water. If you’ve never tried a wiggler, dripper, or some type of fountain in your bath, see for yourself. 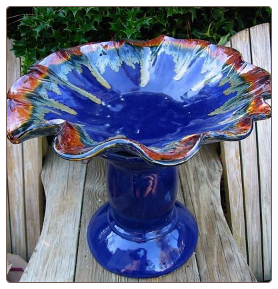 Do it this summer and you’ll be amazed at all the action around your birdbath! If you’re new to backyard birding, and wondering what kind of bath is best? Hands down…it’s the one you will maintain. 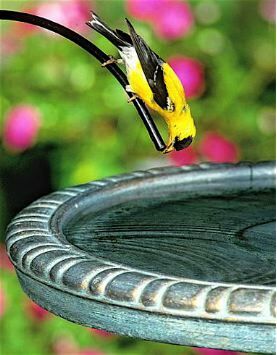 Keeping water fresh is the key element to attracting and keeping birds around. During hot summer months, baths should be cleaned every few days.